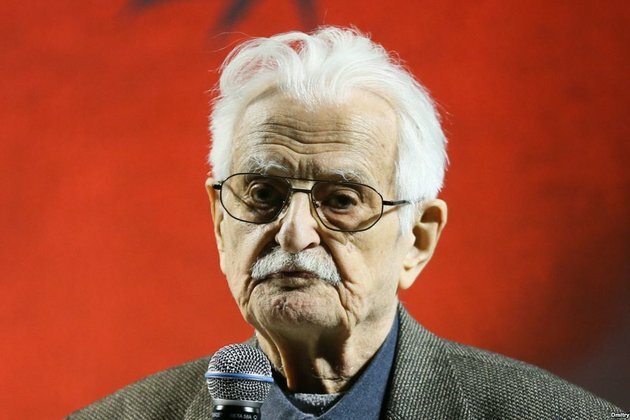 Russian film director Marlen Khutsiyev has died at the age of 94. The Union of Russian Cinematographers said Khutsiyev died in a Moscow hospital early on March 19. Khutsiyev was born in Tbilisi, Georgia, and graduated from Moscow's leading film school, VGIK, in 1952. His first successful film, Spring On Zarechnaya Street (Vesna Na Zarechnoi Ulitse), a romance he co-directed with Feliks Mironer, brought him prominence in 1956. The film became one of the most popular movies in the history of the Soviet Union, with more than 30 million viewers. Khutsiyev's 1964 film I Am Twenty (Mne Dvadtsat Let) became a symbol of the post-Stalin era known as the Thaw, which was marked by a relaxation of repression and censorship under Nikita Khrushchev. Popular films directed by Khutsiyev also included Two Fyodors (Dva Fyodora), July Rain (Iyulsky Dozhd), and It Was In May (Byl Mesyats Mai), among others..